Sleep regressions are no joke, man. A sleep regression can cause even the best sleeper to suddenly take too-short naps (or skip naps altogether) and wake frequently at night. In my work with families, I’ve learned that sleep regressions usually top a parent’s list of “things I dread with all my heart”! 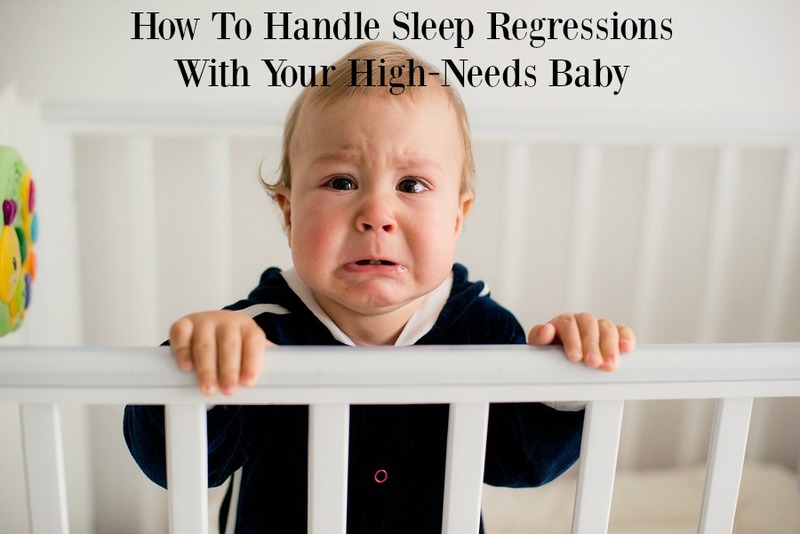 But sleep regressions with a high need baby? Holy cow! Talk about draining and exhausting. I know this from first-hand experience; my oldest son (who inspired The Baby Sleep Site®) was a high need child. 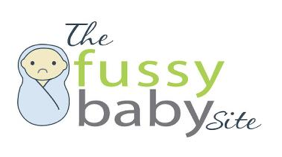 So yes…I know a thing or two about how to help a high need child through a sleep regression! Keep reading for my tried-and-true tips. What Are Sleep Regressions, and When Do They Happen? Simply put, sleep regressions are a period of time during which a baby or toddler, who’s been sleeping okay, suddenly (often without any warning) begins waking frequently at night and/or refusing to nap during the day. These regressions usually last for a period of time (anywhere from 2 – 6 weeks); then, your baby or toddler’s sleep should return to its normal patterns. (The exception to that rule is the 4 month sleep regression; those changes to your baby’s sleep patterns are permanent.) Sleep regressions happen during a period of mental and/or physical development for your baby or toddler. You can read more about each of these sleep regressions, and glean tips on how to deal with them, by reading through this Sleep Regression Resources page. Avoid overtired-ness like the plague. High need children, in my experience, tend to be extra-sensitive to overtired-ness, and are more prone to develop the “overtired spiral” – that is, baby gets a little overtired, which makes the next nap hard, which means even more overtiredness, which makes the nap after that REALLY hard, etc. etc. So watch your baby’s sleep cues closely, and compensate for any missed or shortened naps or late bedtimes with extra sleep. It’s totally okay to break with your usual schedule a bit during a sleep regression and offer more naps, or change up the timing of naps in order to ward off overtiredness. Keep some semblance of your usual schedule, if possible. It’s fine to change up the schedule to prevent overtired-ness, as I mentioned in the previous point, but try to maintain some of your usual order during the day. For instance, you could strive to keep bedtime and most naps within the same 30-minute window that you usually use. If that’s just not possible, at least keep your usual sleep and feeding routines going. High need babies tend to be sensitive to change, so keeping some semblance of predictability and order in your day will help during a sleep regression. Hold your baby. A lot. High need babies often crave and respond well to touch, so be prepared to cuddle and snuggle your baby a lot during a sleep regression. Simply keeping your baby close, and engaging in some skin-to-skin contact (depending on your child’s age) may be enough to ward off the worst of the fussing. Try to stay home. 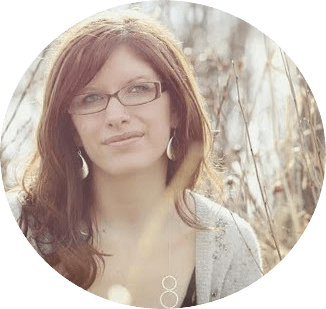 I know this one isn’t entirely in your control – life happens! But during a regression, it’s best to avoid big vacations, lots of busy traveling or errand-running, etc. High need babies usually don’t do transitions very well (ask me how I know! ), and they tend to be very sensitive to their environments, which means that if you’re spending lots of time in new places, it will likely just exacerbate the fussing brought on by the sleep regression. Try really, really hard not to undo any sleep coaching progress you’ve made. If you’ve been working on sleep with your child, and have been making progress, do your best to avoid undoing all your hard work. As you probably know, high need children tend to move a bit more slowly through sleep training. That said, once you do see progress, you definitely don’t want to let a sleep regression move you backwards! If, for instance, your child has finally learned to fall asleep on her own, try not to go back to rocking/nursing/holding her to sleep during the sleep regression. Instead, you can soothe your baby a bit extra until she’s calm, and then lay her down for sleep, but keep the expectation that she still puts herself to sleep. This is an accommodation that may help with fussiness but won’t undo all your work. However you cope with a sleep regression, remember this: they are usually short-lived. Most families find that within 2-4 weeks, things get back to normal. So while it may seems like the fussiness and sleeplessness will never, ever relent, they will. In the meantime, hang in there! Previous Post Driving With a Hysterical Traveller Next Post Surefire New Strategy To Calm a Fussy Baby?